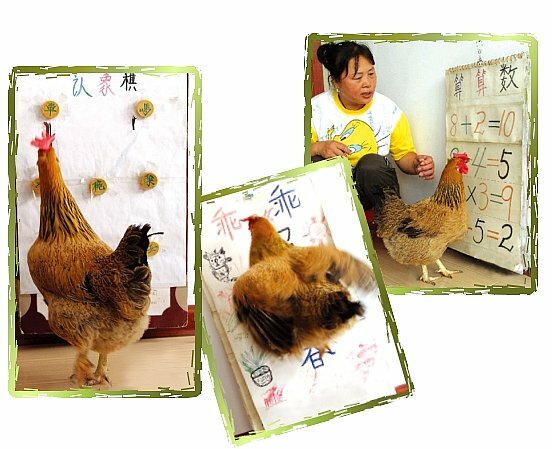 Ms. Li lives in Shenyang, China and has a one-year-old pet hen called Guai-Guai. She loves the hen a lot and treats her like a daughter. Guai-guai even gives her “mom” a kiss, by pecking her lips softly with her beak whenever Ms. Li moves her mouth close to her. Guai-guai is quite talented; she can recognize words and even do some simple calculations. Ms. Li wrote four Chinese characters – good to be happy - on a board and hung it up on a wall in her home. Each time Guai-guai hears her “mom” say any of these words, she will peck on that word several times. Ms. Li also has another board with some simple arithmetic problems and answers. When Guai-guai hears her mom read the problem, she will gently peck on the answer a few times. 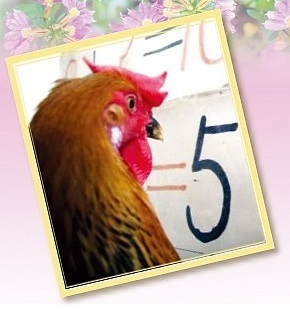 It’s said that the hen always answers correctly. Guai-guai is also capable of recognizing pictures of fruit, facial features and cars. Ms. Li proudly said: “Guai-guai has an exceptionally good memory and learning ability.” She is now teaching her cute little pet hen to recognize everyday utensils!